Exotek Flite 48P Machined Spur Gears are the perfect stock class solution when you want a precise, perfectly round and super lightweight spur gear. 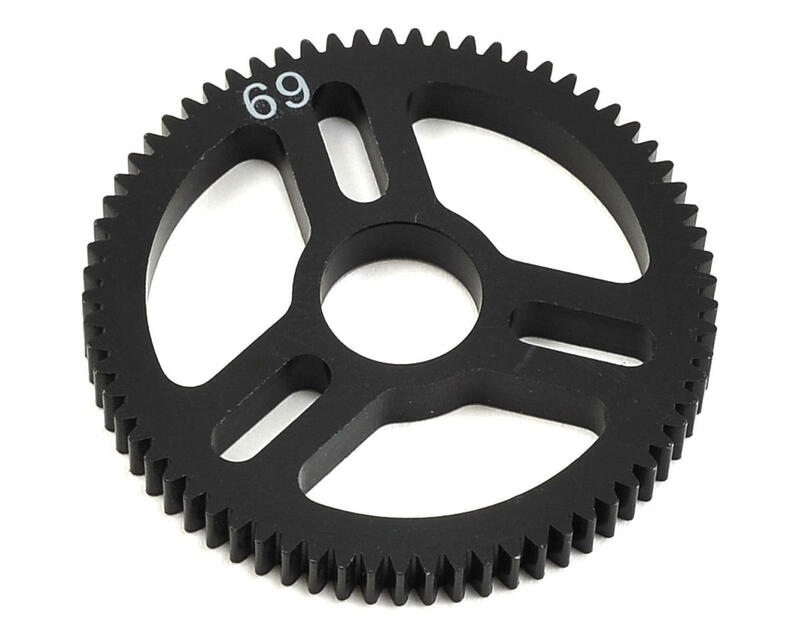 These gears are truer and much stiffer than a standard nylon spur gear and weight a mere 4.1 grams. 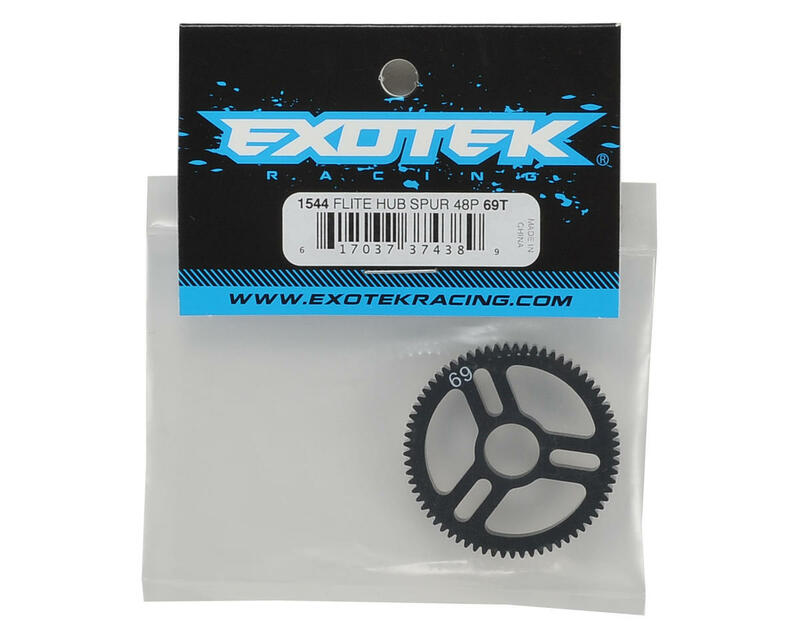 Must use with Exotek Direct Spur Hub (AE - EXO1379, TLR - EXO1419, Kyosho - EXO1423, Yokomo - EXO1558), XRAY - EXO1582). Choose from 66, 69, 72, 75 and 78 tooth options. This is incredible light compared to the Kimbrough spurs recommended with Exotek's lockout. You need three 3X6mm BH screws to make this work. Super light weight. Seems to be good solid quality. I run this with my YZ2 DTM2, with a lockout kit. I also run the 175RC pinions which work great together. EXOTEK is winning me back to their spurs again with these. Added this to my SC truck and you can see it out drag the others on long straights.